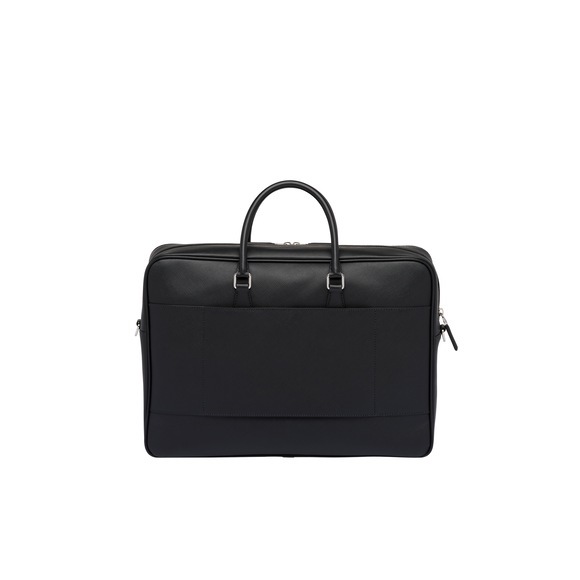 The interior of this elegant Saffiano leather briefcase is perfectly organized for professional use: two outside pockets - one with a removable flat case - and a main compartment with three inside pockets. 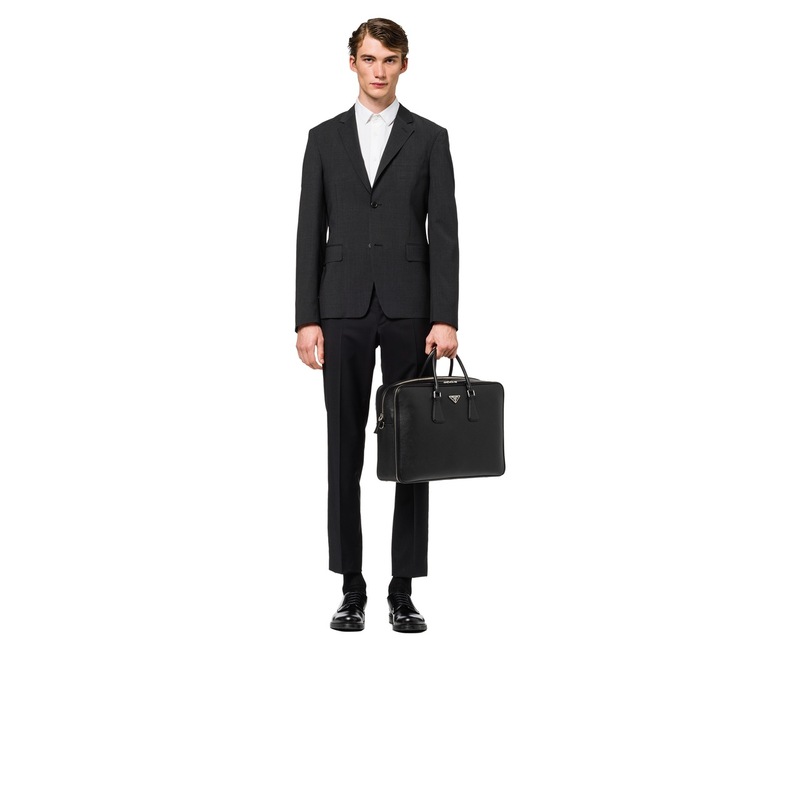 The bag can be worn with a shoulder strap or carried by hand, thanks to the two leather handles. 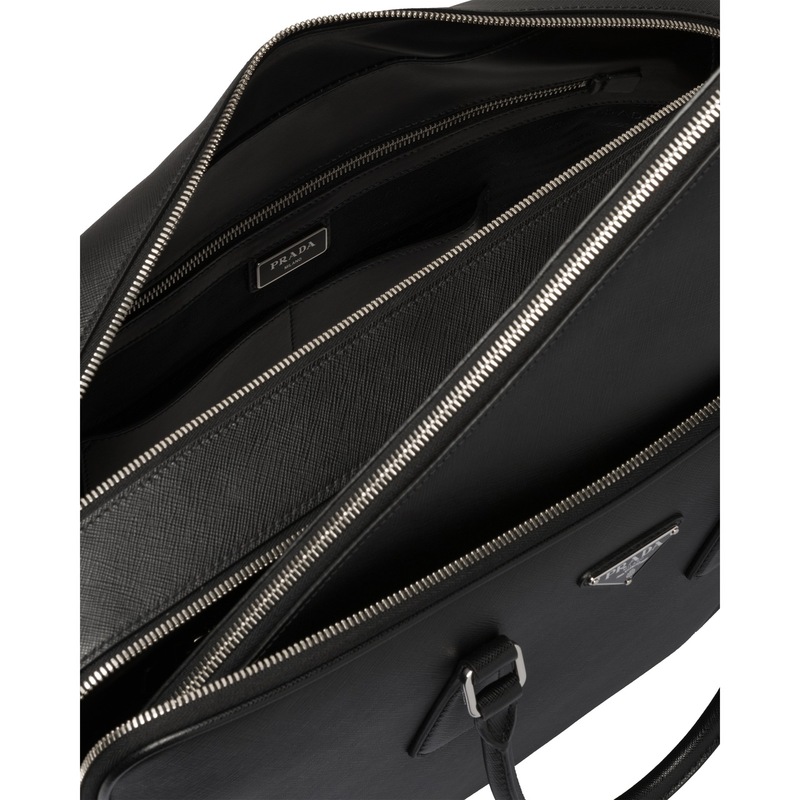 The line of the bag is illuminated by metal hardware and details like the enameled triangle logo on the front.